FOXBusiness.com’s Jade Scipioni talks to Executive Chef Bjorn DelaCruz about his new $150 platinum donut. There’s no doubt Americans love donuts; They eat an estimated 10 billion of them per year. So it’s no surprise the treats are making their way to the luxury market, with donuts reaching price tags as high as $150 per pastry. 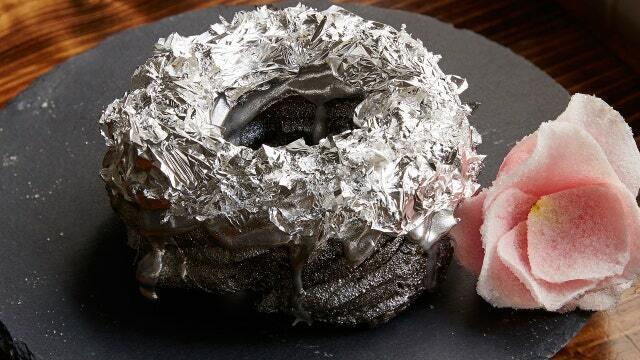 A Brooklyn-based Filipino restaurant called Manila Social Club made headlines earlier this year when they introduced the 24-karat gold donut infused with the luxury champagne Cristal—each selling for $100. Now DelaCruz is on a mission to out-donut himself with a new Patron Platinum Donut—nicknamed the “Patronut.” Each one is infused with the premium tequila, making the price tag even steeper at $150 per treat. The uber-luxury donut was inspired by Patron’s Margarita of The Year—a spicy, rosy flavored drink called the Rosa Picante. Each donut is filled with a creamy spicy ginger-jalapeño margarita jelly and infused with real rose petals. It’s then covered in a sweet tequila frosting and finally topped off with sheets of edible silver and platinum leafs. The best part though is that all the proceeds go to a charity close to the chef’s heart. “My father passed away from cancer in July and I’m taking all the proceeds for this donut to the American Cancer Society,” says DelaCruz. But you better hurry—it’s only being offered for a limited time.